The Interlogix 60-886-95 Learn Mode Wireless Shock Sensor is used for monitoring glass windows. The device is installed on the frame of a window. Buy the shock sensor here. The Interlogix 60-886-95 Learn Mode Wireless Shock Sensor is a device used for monitoring glass windows. The device is installed on the frame of a window, right next to the glass surface. If an intruder tries to break the window, they will create vibrations in that glass that will activate the sensor. This is made possible thanks to the device's advanced micro-controller that is highly accurate in detecting unusual vibrations. Additionally, the device features two internal reed switches so that it can also be used as a dual function device with a standard contact magnet. By default the reed switch is enabled and will be in a constant faulted state if there is no magnet present. For shock only detection adjust the dip switches accordingly to disable the reed switch. Whenever the sensor detects a vibration, an open circuit will be triggered in the sensor's shock element. Once the vibration stops, the circuit will be closed. The micro-controller in the circuit is designed to detect this opening and closing action, and it will instruct the sensor to send a signal to the alarm system. The system will then perform a predetermined action based on the programming settings for that sensor. There are two different detection modes that can be used with the sensor. The first is "Gross Attack", which is designed to detect a single violent strike that would cause the window to break. The other is "Pulse Count" which responds to a series of repeated taps against the glass surface. These modes are set by positioning the DIP switches on the back of the device. The Interlogix 60-886-95 communicates at a wireless frequency of 319.5 MHz. 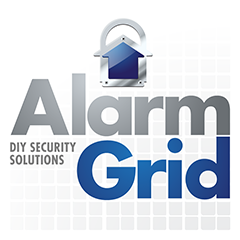 This makes it compatible with any Interlogix Simon Alarm System, as well as any Qolsys Alarm System with a legacy Interlogix daughtercard. The sensor can be auto-enrolled with these panels through system programming, and it can be easily mounted by an end user. The back cover for the sensor serves as a sort of mounting base for the device. The sensor should be as close to the glass as possible so that it can detect any vibrations or breakages. If the sensor is being used as a contact, it should be installed in a similar manner as other door and window sensors. Please note that there are both white and brown versions of this sensor model. The white model is number 60-886-95. The brown model is number 60-886-11-95. Both versions are exactly the same and will offer the same reliability and performance.